"45t. Maxi Version Longue" on front cover; baby blue Celluloid labels. "Nag Nag Nag" [recorded] APRIL 79. 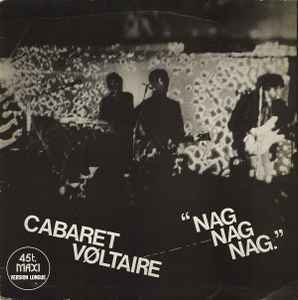 Cover photos taken live at Gibus Club, Paris, April 1979.